U.S. President Donald Trump and Italy's Prime Minister Giuseppe Conte shake hands at the start of a joint news conference in the East Room of the White House in Washington, U.S., July 30, 2018. 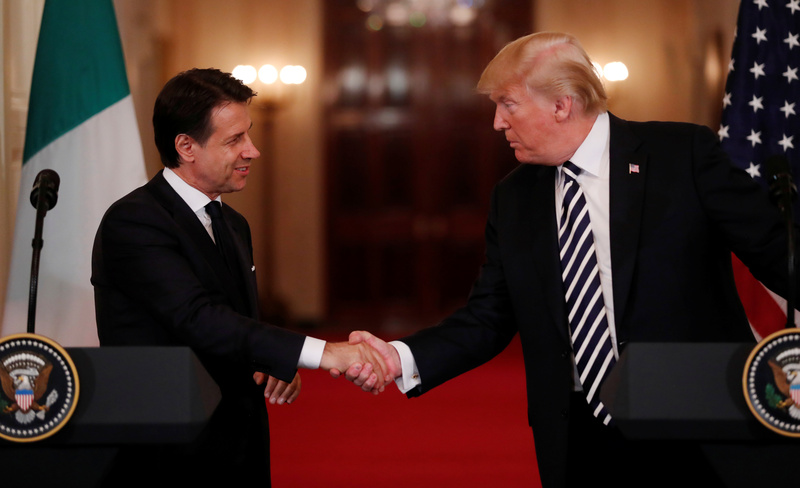 U.S. President Donald Trump told Italian Prime Minister Giuseppe Conte during a recent meeting that the United States was ready to offer Italy help in funding its public debt, the Corriere della Sera newspaper reported on Aug. 24. Citing three unnamed Italian senior officials, the newspaper said Trump made the offer to Conte during their meeting in Washington at the end of July. While Conte spoke of the offer to officials upon his return, he did not explain what form the help might take, the newspaper reported.